Dahon vs Brompton - Which is the Best Folding Bike Manufacturer? Dahon vs Brompton – Which is the Best Folding Bike Manufacturer? 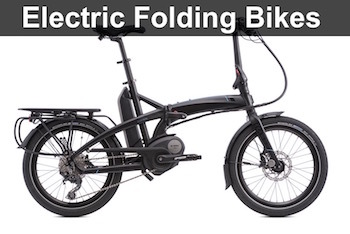 Brompton and Dahon are the biggest folding bike manufacturers on the planet. If you are considering between the 2 brands, let’s check out their differences. We’re comparing their most popular models, the single-speed Brompton S1E and Dahon Speed Uno. If you are looking for a compact folding bike, the Brompton is obviously a better choice because it is smaller and lighter. 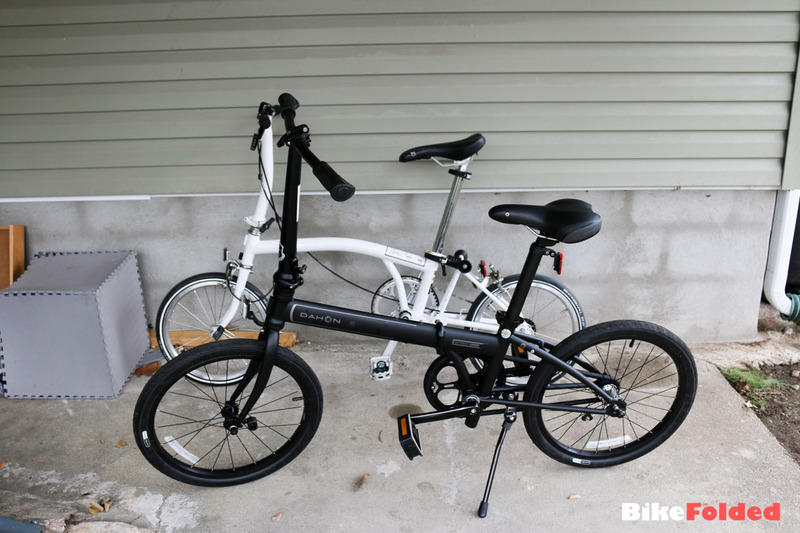 The folded size of the Brompton is 22.2″ x 21.5″ x 9.8″ and it weighs just 22.4lbs while the Dahon’s dimensions are 30.3″ x 25.2″ x 11.8″ and the weight is 24.2lbs. Many riders are satisfied with engineering quality as Brompton pays extreme attention to quality and workmanship. However, the Dahon’s frame is very sturdy as well. DAHON uses drawn 4130 Chromoly steel, which is 60% stronger than high-tensile steel. 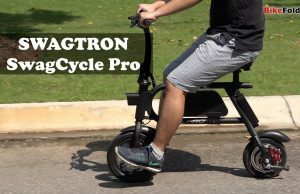 Besides, the Brompton’s folding mechanism with clamps and bolts are outdated, It is subpar as compared to the fast-release lattice-forged hinge with Visegrip technology on Dahon. Most importantly, you will have to sacrifice the riding experience for the small folding size. The performance of 16-inch wheels on Brompton is nowhere near that of 20-inch wheels. You shouldn’t use the Brompton to ride to work because it is designed for short trips. It is great for multi-modal commuting as you can easily bring it onto any bus or train. I successfully brought the Brompton to an airplane but it is not guaranteed and I also hate troubles at security gates. You can check out my tips to bring a folding bike onto an airplane here. Last but not least, the Brompton is extremely expensive. At the moment, I can buy 2 or 3 decent Dahon bikes for the same cost of 1 Brompton. Overall, it’s better to pick a folder that best fits your personal needs. 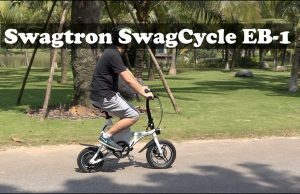 You should buy a Brompton bike if you need a small folded size while the Dahon is better for longer and leisure rides. Dahon is a bigger manufacturer, they spend more on R&D, so you can see that the frame and folding mechanism are also more advanced. I’d recommend you to test ride as many bikes as you can to find out the most suitable one. 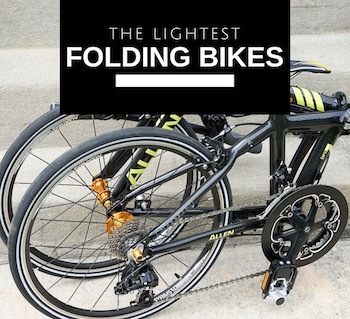 If you can’t, check out our comprehensive reviews on BikeFolded website. 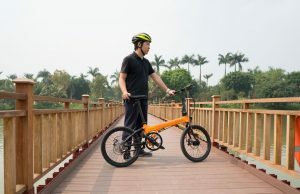 I agree that we should buy a folder that suits our needs, but the part about Dahon being a larger company and that it spends more on R&D ars new information to me. What is your definition of larger and how much do both companies spend on R&D? Have you heard of recalls for Dahon bikes before in the past? I looked at the sales number and interests on Google Trends. Brompton takes just a tiny fraction in the market. In 2014, Brompton sold 45,000 bikes while Dahon’s sales reached nearly 1 million bikes. 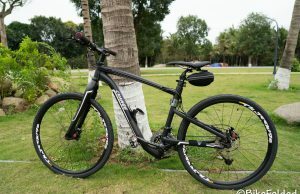 Dahon is a huge manufacturer and I’m surprised they haven’t got any recall in the last 7 years. If you are thinking about buying a Dahon folding bike… I’ve had 2 catastrophic failures with my Dahon MU XL Sport. First – the handle post snapped off at the base. It took a very long time to get a replacement under warrenty and they sent the wrong part. I couldn’t get a response from Raleigh UK after that and just bought a replacement elsewhere. Second – the fork stem snapped off at the handle bar stem end. It’s now out of it’s 5 year warranty. This wasn’t a cheap bike and has not inspired much confidence in manufacturing or perhaps engineering. Glad I’m still alive really. 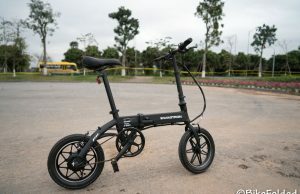 Dahon Speed Uno is a better bike than Brompton, Brompton has flex in a frame, Dahon is strong and solid, Brompton build is better than Dahon, brassed frame is much better made, but Dahon still the better bike overall.